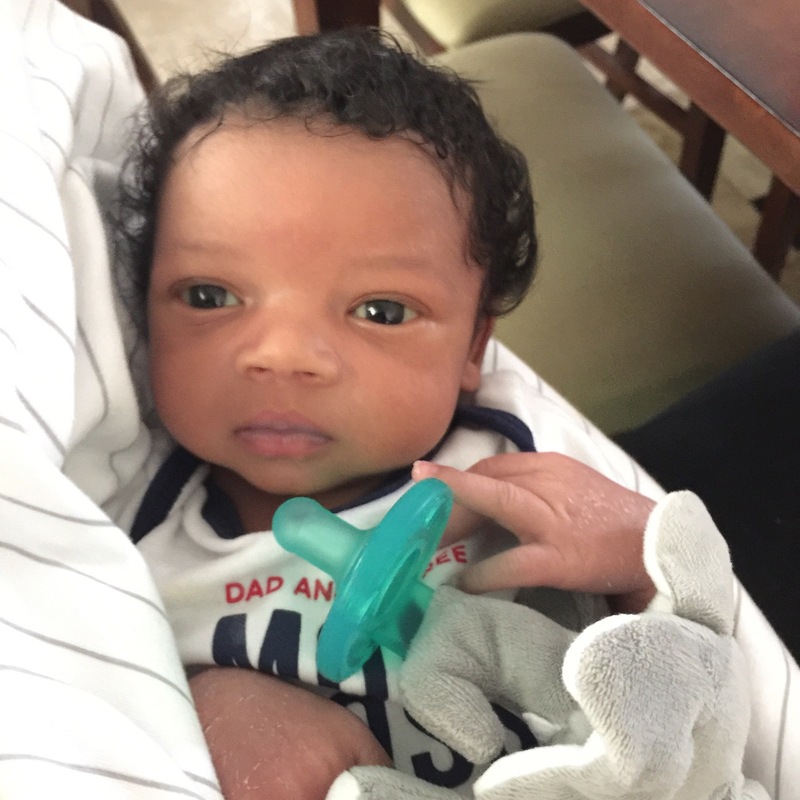 Kenneth Thomas, Sr. welcomed‎ his first grandson and second namesake to the world last month. We caught up with him in Jacksonville, Florida, to see what he told K3 on Father’s Day. Here’s his response. “I’d tell him, ‘Grandson, I know you have only been on this earth for two days, but I will tell you this story until you can tell it back to me. “Who gonna make the book talk now? Miss Lucy make book talk every night. Who make book talk now?” His voice cracked under his sobbing. The young master released him and walked away with his own sorrow. Jeremiah’s daughter saw this and waited until the young master could no longer be seen. ‎She took her father’s hand. They walked across the pebble driveway to the small wooden cottage. The door scraped the brick floor‎ as it opened then closed behind them. Bernice pulled out a small book she had hidden in the seam of her dress and started to read to her elderly father until he fell asleep in his old wicker chair. The next day his entire family left the plantation as not property of anyone but free as God brought them into the world. A twenty-mile hike as the crow flies, they came to a sign where a group of disgruntled former slave owners on horses sat. “What’s your name, boy?”, the lead cowboy asked, as he removed his toothpick. “Jeremiah what?” he spat on the ground near Jeremiah’s feet. “We want to go to Georgia now,” Jeremiah said as he smiled and tipped his hat. For miles they walked quietly before Poppa stopped. He caught Bernice’s hand. ‎ “Miss Lucy did a brave thing. She learned you something magical, chile. Your head holds words. Your mouth, share it. You have power for all Thomas yungens. Don’t let people know you can make the book talk or the signs. But make sure you learn our youngens as long as you live.